I think I'm feeling inspired. The words on my mind are "Sentinel" and "Repulse"
Yay, We missed you man. I'm not dead... 14 months ago I broke my hand rather badly. I healed, but mousing now makes my hand ache after an hour or so. My work eats most of my "mouse time" such that at the end of the day, more mousing sounds like less than fun. I can totally empathize. I hope that you will eventually have more mouse time and that you can come back and wow us with your builds once more. Keep healin', dood. You've been knocked off the most active builders list! You have to come back! Hey Buddy, the Dock just isn't the same without you. How's the hand? Broken mouse hand. I'll be out of the game for a couple weeks. The cycle has gotten so short that I'm tearing apart and totally rebuilding ships I haven't even published yet. On the up side, these are some damn fine ships, If I can ever get satisfied enough to publish them. 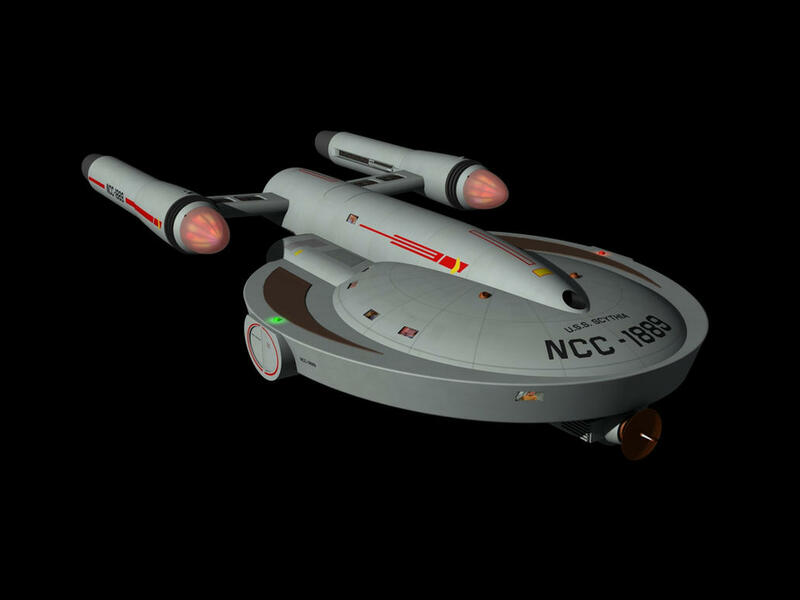 While I can't give you a review of some of your other recent works quite yet, I'm psyched that the TOS Connie is back and she simply LOOKS good. Keep up the good work and I will be using your TOS Connie when I reboot my YouTube Channel and start doing some Let's Plays. I'm also looking forward to using your shipyards too and checking out some of the other cool stuff you have. Sorry, I tend to ramble on a bit. Just keep up the good work! Proceed to the Intrepid class ? I've been learning "rails" and new logic by refitting my Archer class with mechanical moving parts to replace those made out of Plexdoor. Hmm for a Riker skin, you might do just as well with a Luna class. It's "soon" on my to do list. Riker's first full command was of the Luna class Titan. I wish you would atleast make a galaxy class, I dont care if its not full scale..
Oy.. "At Least" he says. :) For me, part of the fun is working at full-scale, and the Galaxy is... A lot. Ah, I understand. I suppose it comes down to the community then, but if you ever start rebuilding stuff, I'm sure people will be waiting to see your next creation. Until then...well...I suppose I could attempt some minor updates of your original stuff...but major refits are beyond my capacity. Still love the game... but yeah. Real life, family, job, stuff like that. Hello, you continue on the USS Voyager ? I'm in it for the building. I really enjoy Star Trek but it's far from my only passion, even in the world of space-ships. It's just such an engaging universe to play in I haven't gotten bored with it yet. My ship-building blog has more of my ongoing thoughts about StarMade and related subjects.